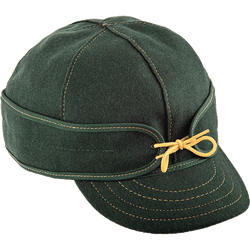 For over a century we've kept humans well-fitted with the world’s finest caps and clothing. But we know your families include furry members, too. Welcome to a line of pet gear built with the same made-in-the-USA quality, reimagined exclusively for your pets. Across the waters from Scotland lies the barren, rocky island of Harris. 150 years ago, the people of this island created a unique cloth. Today, it is known simply as HARRIS TWEED. 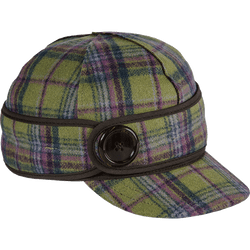 This fabric is woven by hand in the homes of Islanders, just like Stormy Kromer caps are sewn by hand by our talented employees. Enjoy this unique collection of products combining history and tradition from both sides of the Atlantic. Ida Kromer stitched together her first ear-banded, 6-panel cap in 1903, the same year the Wright Brothers filed for a patent regarding a “flying machine.” It was a good year for innovation. 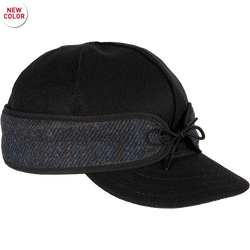 Read the full Stormy Kromer history here.